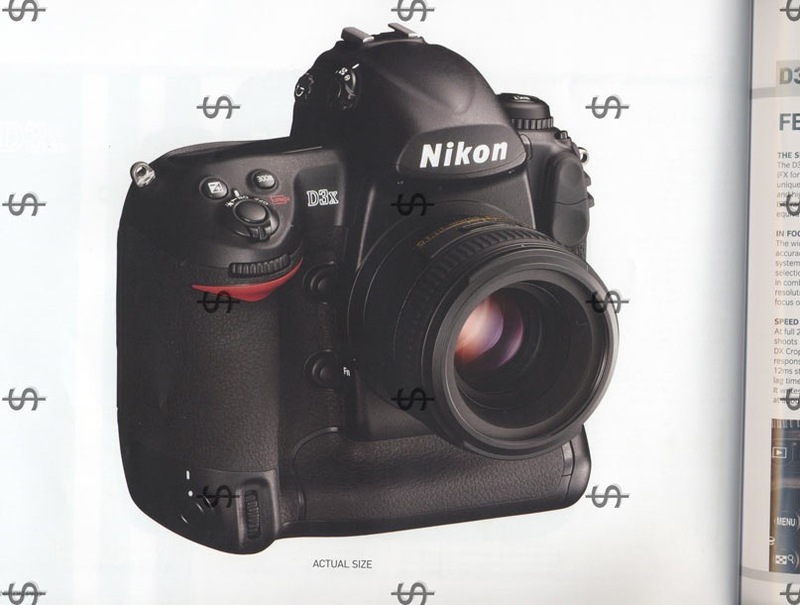 [Update] Nikon officially announced the D3x. Check out this article from engadget. 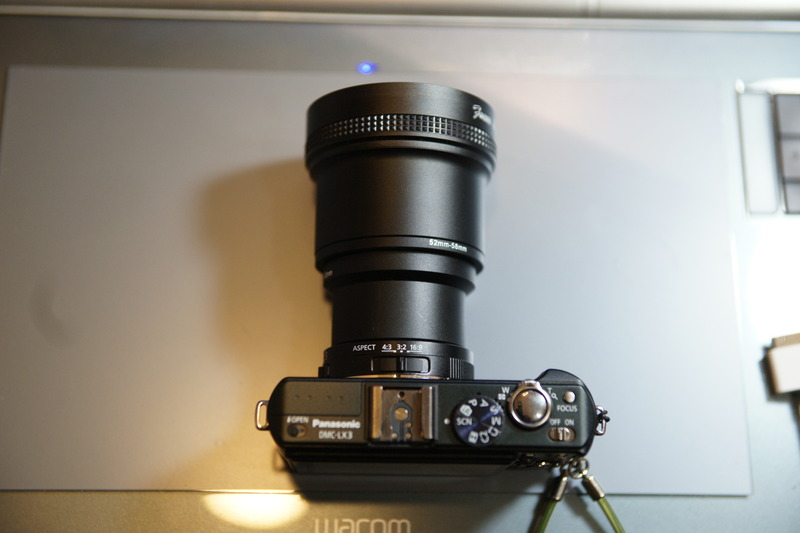 Ouch is the only word I can mutter, but still like my Sony A900. Camera Raw 5.2 is out and it supports the following cameras but only for Adobe CS4. For Lightroom users, have to wait until version 2.2 release in December, bummer. 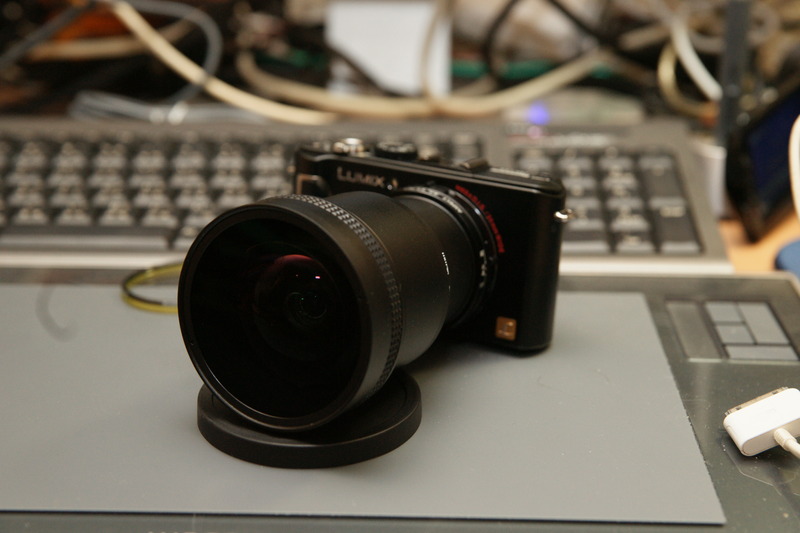 “With the release of Camera Raw 5.2 (and upcoming Lightroom 2.2 release) there is an important exception in our DNG file handling for the Panasonic DMC LX3, Panasonic DMC FX150, Panasonic DMC FZ28, Panasonic DMC-G1 and Leica D-LUX 4. For those choosing to convert these native, proprietary files to the DNG file format, a linear DNG format is the only conversion option available at this time. A linear DNG file has gone through a demosaic process that converts a single mosaic layer of red, green and blue channel information into three distinct layers, one for each channel. The resulting linear DNG file is approximately three times the size of a mosaic DNG file or the original proprietary file format. According to Engadget, all BlackBerry Storm seems to be sold out just couple days after its release, WOW. 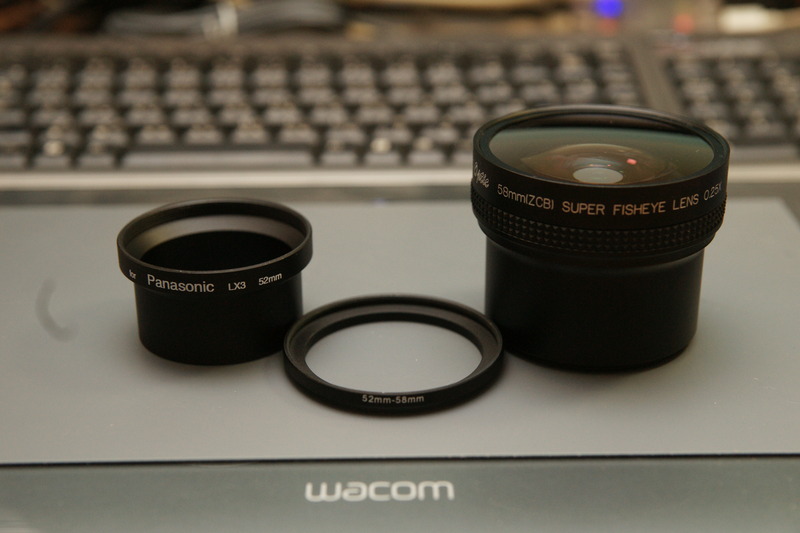 New article posted up over at Phooey Pics on the 58mm Fish Eye Lens for My Panasonic Lumix LX3, check it out. According to AppleTalk and Gizmodo, the new version 2.2 firmware upgrade for the iPhone will be launched sometime tomorrow, (21 November 2008 for US). So look out for it and see what the upgrade really do apart from the security patches. US launch date is tomorrow, still no news on local release yet. Lenovo notebook starting from HK$3xxx, desktop from HK$1,499. Lenovo IdeaPad Life Netbook from HK$2,699. 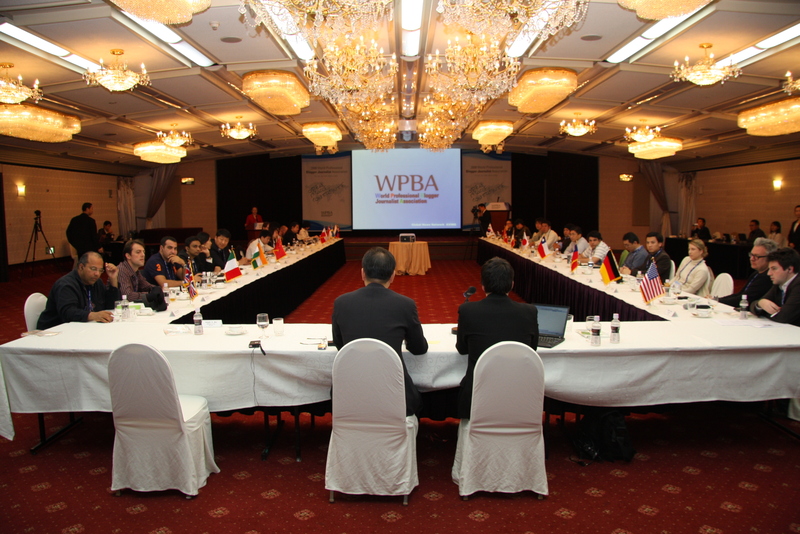 Back to Hong Kong after the WPBA inauguration convention. Weather was getting really cold (-4C) and started snowing when I got to the Incheon Airport. Lots of Korean rushed through the door at the airport to take pictures with their hand phones on what seems to be the first snow (maybe) and some were making wishes too, real interesting scene. Took tons of pics but need couple days to sort through them before I can post them up so bear with me for now. 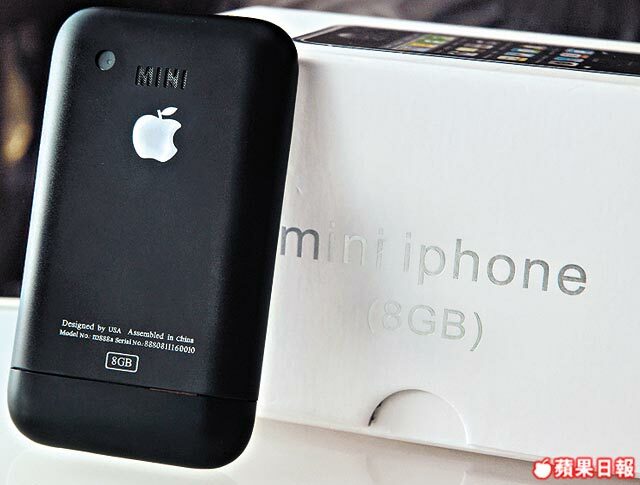 Well, back at work today and the sales from 3 Hong Kong came over to deliver the iPhone 3G to my big boss. We chatted a bit and he asked me whether I know that there’s an insurance program with coverage of HK$3,000 on the iPhone 3G. Told him I never heard of it and asked him about it. The deal is, if one enroll in the insurance plan, one would need to commit three more months on top of the 24-month contract. 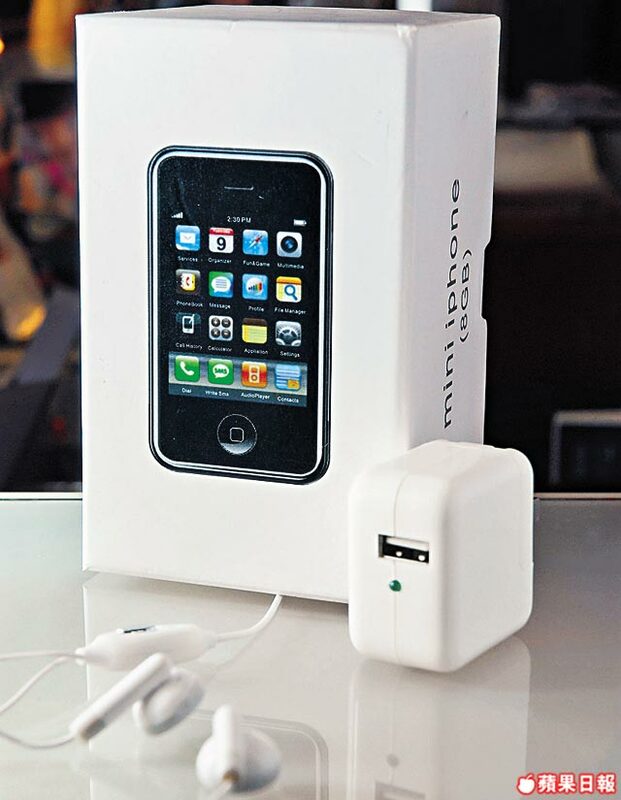 By doing so, one will get a one-year coverage of HK$3,000 if one loses the iPhone 3G (a lost report have to be filed with the local police). After the first year, the charge would be HK$39 a month in order to extend the coverage. Hmm…interesting as I know a lot of people who have lost their iPhones and they probably have not heard of such plan… some great sales and marketing there. 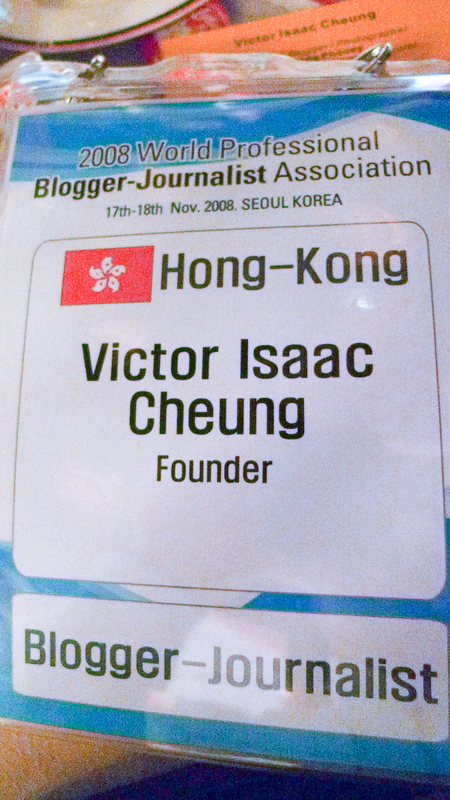 For those who wonder where I am, I am attending the World Professional Blogger Journalist Association (WPBA) Inaugural Convention in Seoul this weekend together with fellow blogers, Nicholas Aaron Khoo and Hillary Chan from CNET Asia; and Napolean Biggs from Web Wednesday Hong Kong. On this same weekend, a bunch of 20+ local bloggers will be in Guangzhou for the Chinese Blogger Conference. 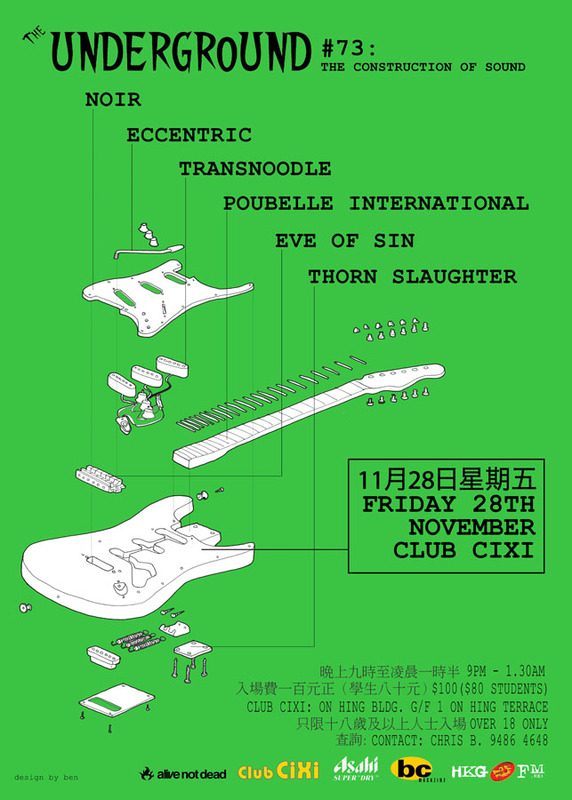 Too bad I don’t blog in the Chinese language, will miss seeing all the fellow bloggers there. 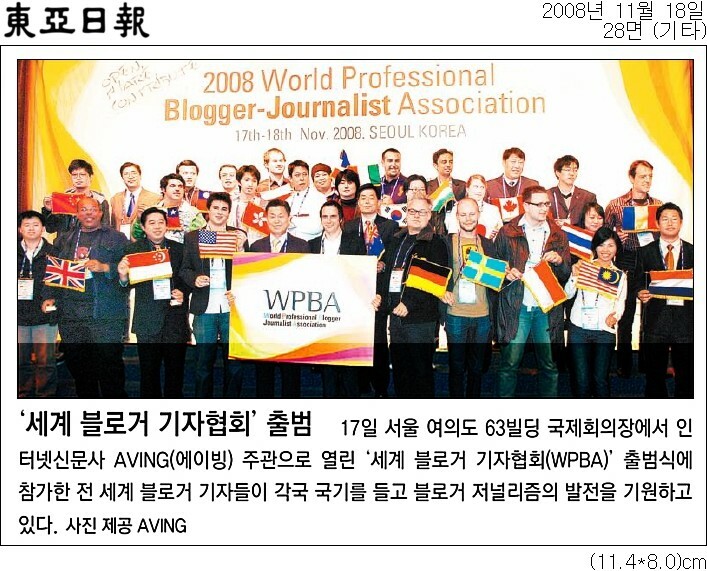 The inaugural convention of the association for the fast-growing, one-man media blogger-journalists, ‘World Professional Blogger-Journalist Association (WPBA, http://wpba.aving.net)’, will be held at the Youido Hanwha 63city Convention Centre in Seoul, Korea, on November 17, 2008. 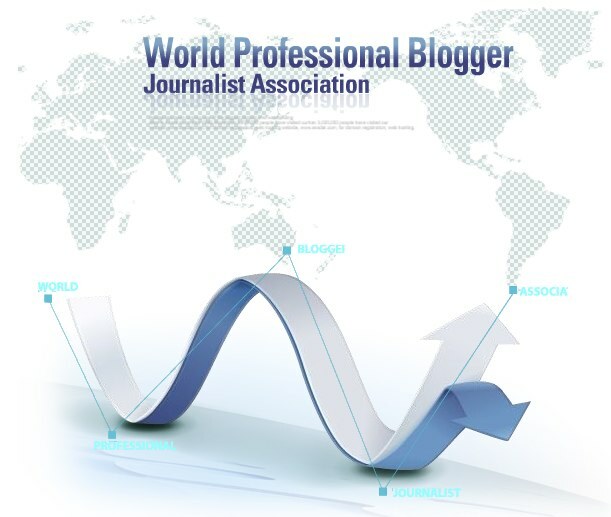 Representing the WEB 2.0 era, bloggers have reached a total of 80 million in numbers worldwide, and their roles and influence in the society continue to expand, calling for an establishment of an association that will protect and promote the rights and interests of professional bloggers.